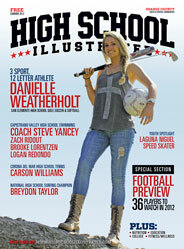 High School Illustrated was founded in Orange County, Calif. in 2011. We believed that high school news is neglected by media — and we wanted to do something about it. After all, what is more central to the community than a high school? If you’re really looking to stay up-to-date, this website is the place to go. It is continually updated with articles, pictures, fan coupons and more. When you’re on the go, check us out on your smart phone or tablet. Help show what makes your school and community special by sharing pictures or articles. For more information, check out the Share or Submit page. Your voice matters! 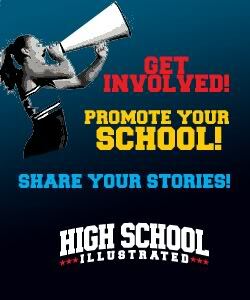 High School Illustrated is a young publication with big goals. Locally, we plan to publish more editions of the magazine each year. We are also aiming to expand our coverage to other schools in the country. Great idea. I’ve been following local football in my hometown for about a decade, and have written blog summaries of many of the games. The La Habra/Orange Lutheran game was several weeks ago (I’ve been traveling), but gives you a sense of how I approach the assignment. There are other football-related links in the right column on the C23 blog. Not sure I fit your profile–I’m way, way out of High School–but, I love sports and writing, and can use technology, so it’s a lot of fun for me.